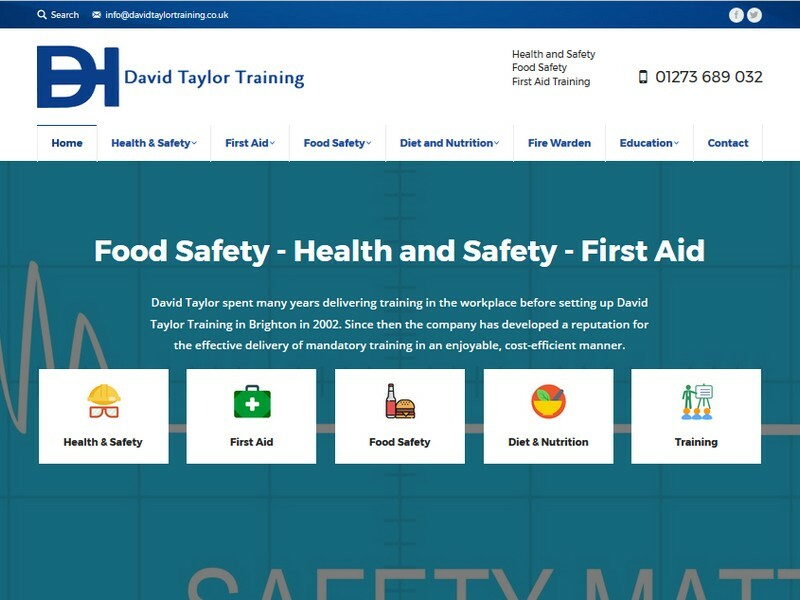 David Taylor Training are a Brighton company specialising in first aid training. We built the original website and they came back to us to have the website updated so that it would be mobile friendly..
We provided a responsive layout buit on the Wordpress platform which displays perfectly on mobiles and tablets as well as traditional desktop PC's. This also allows the client to login and update the website from any PC.